The Daily Dimwit: Some Bowman Color! 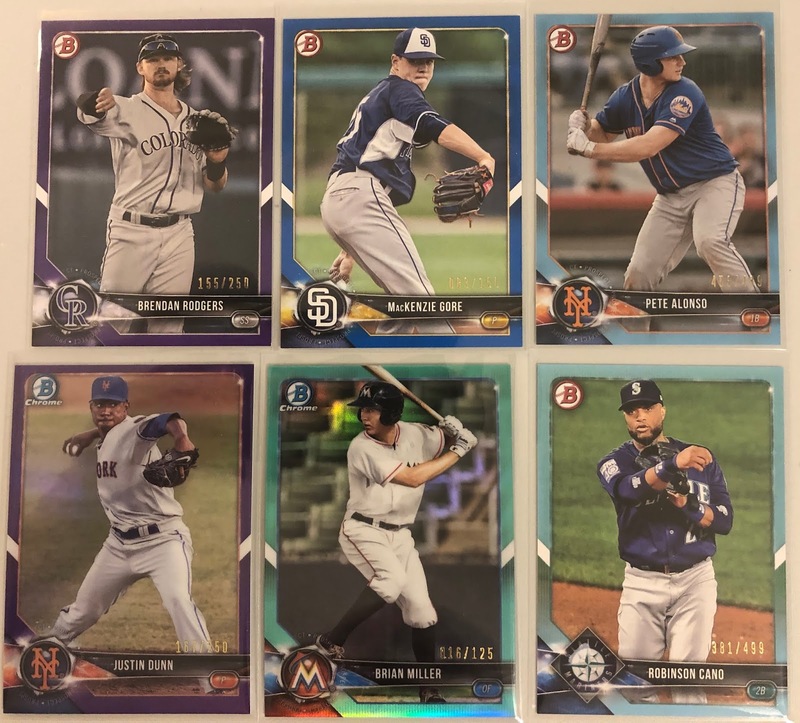 So, as I understand it, people really love the color parallels within the Bowman product. 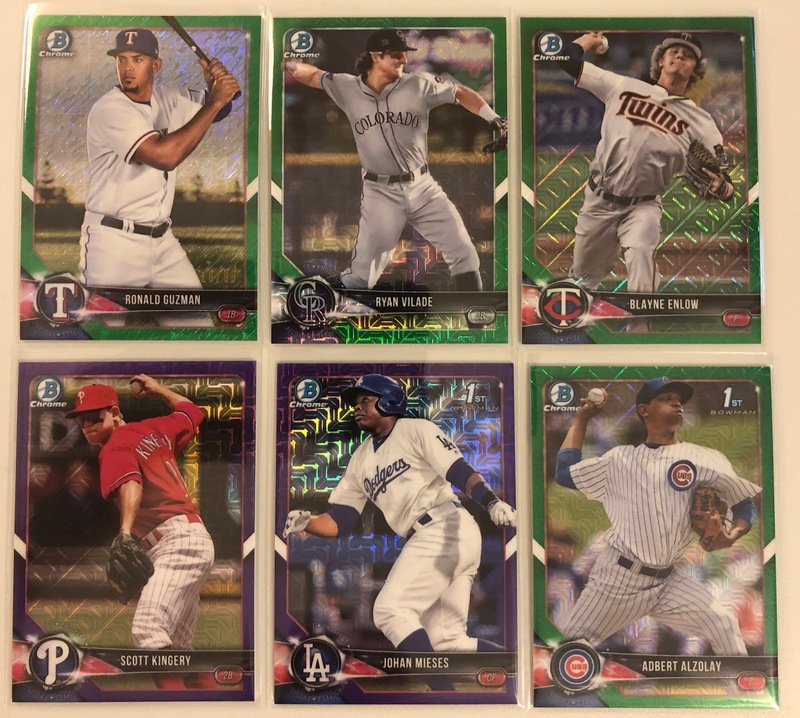 Well, after picking up some blasters, a hobby box and a few of those new fangled Mega boxes, I have some color to show off. Unfortunately, I didn't get any of my beloved Astros in the color spread. Here's the good stuff! Top row is all paper, as is the Cano/PED card on the bottom right. Purple /250, Dark Blue /150, Light Blue /499 and aqua /125! 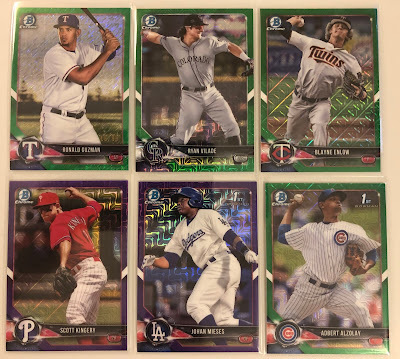 All the green are /99 of course. The Guzman is the only non-Mojo refractor. Kingery and Mieses are Purple /250 again. 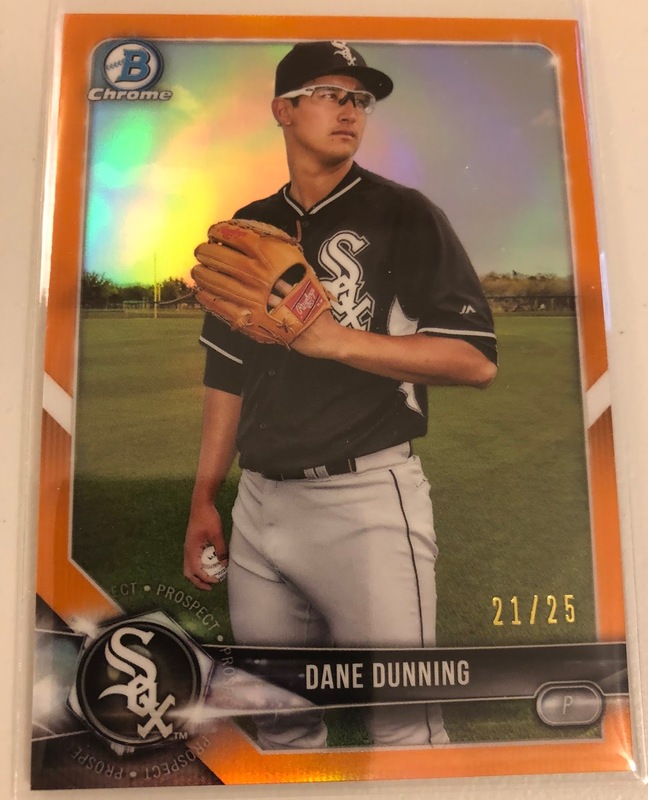 And the best of the bunch is this beautiful /25 orange! This will most likely end my participation in the world of Bowman. I learned this year that it gets a little crazy with the prospectors, especially when a guy like Ohtani is involved. Nice Adbert Alzolay... here he may be getting the call soon, which will make Cub fans bid like crazy for that greeny.